Last year, Oscar Rios moved from writing Call of Cthulhu content for companies like Chaosium and Miskatonic River Press to creating his own third party company, Golden Goblin Press. Their first offering, The Island of Ignorance: The Third Call of Cthulhu Companion raised nearly $14,000 from 325 Kickstarter backers, and unlike a lot of crowdfunding projects, it actually came out on time! I reviewed it back in October of 2013 and found it to be one of the best Call of Cthulhu releases in years. It’s no surprise that in the 2013 Tabletop Gaming Awards, The Island of Ignorance picked up the “Best Adventure (Collection or Campaign)” award. It was that good. 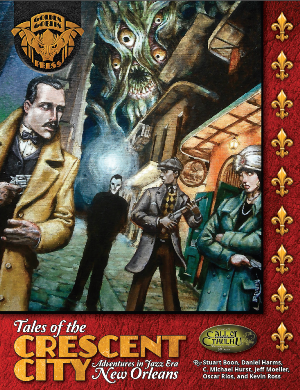 Well, now we’re back with Golden Goblin Press’ second release, Tales of the Crescent City. Spurred on by the success of GGP’s first Kickstarter, TotCC received almost triple the dollar amount in pledges and more than double the pledgers Island of Ignorance had. Behold the power of second hand buzz! 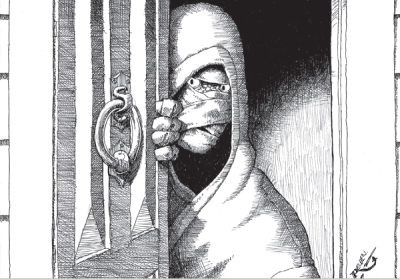 Like The Island of Ignorance, we’ve gotten the electronic version of Tales of the Crescent City on time, making Golden Goblin Press arguably the best tabletop crowdfunder in terms of follow-through. The question is, can Tales of the Crescent City possibly be as good as The Island of Ignorance? Tales of the Crescent City consists of a Introduction, three articles, seven adventures and roughly twenty-five(!) pages of maps and handouts. It is designed for Call of Cthulhu, Sixth Edition, but can easily be converted to a previous edition or, with a little work, to the upcoming Seventh Edition of the game. I should also point out the quality of the adventures will be greatly enhanced if the Keeper has a copy of Secrets of New Orleans, as it will allow him to flesh out the city, adventures and overall experience for everyone involved. You’ll find several adventures make specific reference to this book, and it will also keep you from turning New Orleans into a generic locale. You’ll also find that most, if not all, of these adventures need to be set in New Orleans proper to work. These are not pieces you can pick up and move to another part of the state or country. So if your Investigators aren’t currently in NOLA, you’ll need to find a reason for them all to travel there. What’s really interesting is that, even though these adventures are all designed to be independent from each other, each one gives tips on how to weave the entire collection together into a full campaign! You’ll see advice on NPCs that can flitter from adventure to adventure, becoming recurring characters. You’ll see the occasional comment on which adventure should be played first (especially with the King in Yellow adventures). Things like this will help turn Tales of the Crescent City from a bunch of fun standalone pieces into a memorable tour of New Orleans – if you have a Keeper willing to put in the work, and your characters stay alive and/or sane long enough to get through them all. This was a wonderful touch and something you don’t see very often. This is one of those times where I’d love to see annotations about the communication process and how these sidebars were made. That’s probably just me though. The one page introduction to the book is fantastic. It gives a lot of tips about what 1920s New Orleans is actually like. Race, culture, religion and crime are all covered. I especially loved the reminder that New Orleans is below sea level, and that you won’t find a regular cemetery there. More important is the use of Credit Rating in all of these adventures. I’ve seen some CoC players used to a more hack and slash style game treat Credit Rating as a dump stat, ala Charisma in D&D. That never works and will especially hurt a character here. Just a great prep piece for Keepers and Investigators alike. Our next piece is the “Investigator’s Guide to 1920s New Orleans.” This was fantastic. Even though I obviously wasn’t around in the 1920, I have been a frequent visitor to the Big Easy and I could visualize a lot of this. This is one of the best city guides I’ve seen in a while, although I might be rebounding after the spectacularly bad Cursed Necropolis: Washington D.C.. Anyway, this piece really is fantastic. You get several pages for each important area in the city, and a two page map marked with all sort of landmarks that will come up in these adventures (This is especially helpful with adventures where time is of the absolute essence.). This guide is seventeen pages long, and if that isn’t enough to help you make your own gaming version of New Orleans come alive, there’s always a massive bibliography and the aforementioned Secrets of New Orleans to help you out! I can’t say enough good things about this section. About the only thing I could have asked for is a list of good hotels and restaurants for ambiance, but that would have been hard to do, considering this guide is set a century ago, and the quality of those things probably couldn’t be verified. You might laugh, but this is why I have a first edition of Duncan Hines’ Adventures in Good Eating from 1935, because so often people I game with want hotel and food info. Article #2 is a long bio on Étienne-Laurent De Marginy. Read this well, Keepers, as he will often be your fallback or outright deus ex machina when players get lost, stumped or otherwise railroaded. That said, he should be used sparingly, such as when an adventure actually calls for him, or when your players are so boxed in they desperately need a helping hand. Otherwise, your players will come to expect his help rather than appreciate it. Also, he’s crazy overpowered. To throw in another D&D references, he’s got Elminster style over inflated stats. So don’t let him overshadow the actual players. They’re the stars after all, not the NPCs. This is definitely a fun little write-up and a must-read for people running the adventures. Who knows, after reading this, you might actually feel like picking up the stories in which Marginy appears. The final article in this piece is a page and a half briefing on “The King in Yellow.” This piece doesn’t just draw from the works of Robert Chambers, but also authors who came after him and added their own little bits to this particularly beloved Mythos character. No, there are no references to “True Detective.” It’s a fun article, and it will help Keepers run two of the adventures (both written by the same author as this article) in the collection. Alright! It’s finally adventure time. First up is a classic originally printed in The Great Old Ones. It’s entitled, “Tell Me, Have You Seen the Yellow Sign.” This adventure was originally released in July of 1989 and it’s been a favorite of Call of Cthulhu gamers ever since. The adventure has some definite changes to it from the original, but these are mostly minor and cosmetic ones. You’ll see different art, sidebars, maps and so on. There are no major changes to adventure though so long time fans of the original will have little to nitpick about here. Whether you are new to CoC or a long time aficionado, having “Tell Me, Have You See the Yellow Sign” in this collection will certainly thrill you as it’s a great look at New Orleans as well as one of the most famous creations in the Mythos not done by Lovecraft himself. “Tell Me, Have You See the Yellow Sign takes place during Mardi Gras season. This alone is enough of a hook to get Investigators in the area if they aren’t natives. You get the death of a local reporter, which ensnares the PCs into a city-wide conspiracy that involves voodoo, a cult of Hastur worshipers, and an attempt to bring the King in Yellow itself to earth. All of this while also giving the players a look at what goes into a Mardi Gras festival. There’s some neat information about krewes, parties and floats you might not otherwise now. That’s edutainment! The adventure is mostly talking and investigating, true to the trappings of CoC, but there’s also the equivalent of some light dungeon crawling in here. Where it’s a slightly rundown mansion of a supposedly haunted swamp, there are some moments where the terror comes from the Keeper’s ability to make a location come alive with their descriptions. There is a decent amount of combat and there is the potential for a d100 sanity loss roll, so the adventure can be quite tough if characters are new to the game or suffer some terrible die rolls, but even in defeat, this is a really fun adventure, just as it always has been. Some CoC adventures haven’t aged well over the years and edition changes, but this is definitely one that has. It will take several sessions to play through this adventure completely, but survive or perish, you’ll have a memorable time. Your characters…perhaps not so much. “Bloodlines” is the second adventure in this collection and although I was cold to it at first, I grew to like it, if not love it. I didn’t really like the turning of an Egyptian deity into a Great Old One, but hey, it’s not like you can’t undo that. It’s okay to have an adventure that doesn’t use the creatures or vernacular found in the core rulebook after all. Look at the awesome pieces by Caleb Stokes over at Hebanon Games for example. Besides, the rest of the adventure is fantastic. It’s shades of grey instead of black and white with the would be monsters being sympathetic and actually less horrific than some of the humans you’ll encounter in this piece. Unfortunately the adventure does take the standpoint that if something isn’t human or worships a non Christian deity that it is as evil, if not more so than humans going out of their way to being terrible people. I have a problem with that. Look at Ghouls under Lovecraft’s pen. They weren’t always evil. It just depending on the ghoul. Hell, some (including Mr. Pickman) were even known to help out old Carter on occasion, and he was as white hat as it got in his writings. The adventure really should have been retooled to write out some of these biases and keep it more in line with the Mythos premise that these things aren’t necessary evil – just alien to us in thought and deed. As it is written, this feels more like a Chill adventure than a Call of Cthulhu one. Still a good Keeper can easily tweak/fix these flaws and well they should, for the core idea of the adventure is a good one. This adventure sees the Investigators helping out an old friend who has been giving a lucrative but bizarre assignment. Dr. Fontainebleau’s employer, a bit of a ruthless tycoon of sorts, has hired the man to check on the lineage of his fiancée, both fiscally and genetically. Unfortunately, the good doctor has found something troubling and asks the PCs to come to his aid, without revealing his discovery. When the PCs arrive, they discover their friend quite dead and they need to finish his work lest his poor old infirmed mother is tossed out on her can. Like I said, Dr. Fontainebleau’s employer is something of a movie serial style cad. 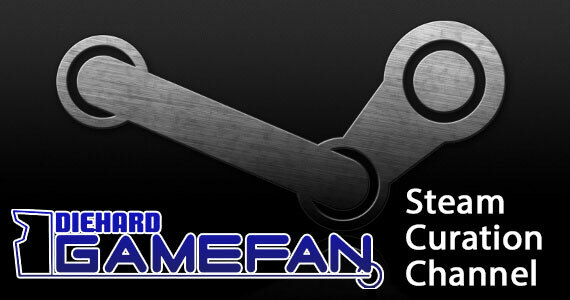 The investigation will take players through a trail of deceit on many levels. What is the secret of the old Native American tribe that live on the DeCroix swampland? How Dr. Fontainebleau die (A wonderful curveball here BTW)? What did he discover? How does a 17th century nun tie into all this? Most of all, what is up with all the gators around these parts? This is a great mystery which you will have a lot of fun unraveling and the players will have a tough choice to make at the climax. Do they help the obviously evil human or do they help the not so human race he has unwittingly ticked off with his actions? Either way there is going to be some NPC death and the Investigators will be responsible. Without spoiling things, I will say that the players I ran this for universally sided with the non-human option. The players less (or not at all) experienced with CoC were pretty gung-ho in their favor while the veterans debated the potential sanity loss or room for inevitable betrayal first before agreeing it was the morally and ethically correct choice. It’ll be interesting to see how it unfolds with your group. So “Bloodlines” is a good adventure, but there are places you’ll want to tweak it from what is written. Adventure number three is “Needles,” something very few people enjoy. They will however, have fun with this adventure. It’s the second adventure in a row to make use of Egyptian trappings, although this one has a tried and true mummy instead of references to an Egyptian god. Here’s the thing though: I recently ripped into the Pathfinder adventure Risen From The Sands for having a similar plot hook as “Needles.” Both adventures centered around an ancient being who ideas and desires were good, but upon rising into undeath as a mummy went evil and insane. So how could I bash the Pathfinder adventure, but not “Needles?” Well there are a couple of reasons for that. The first is that Risen From the Sands was simply a dungeon crawl that made the mummy end boss evil for no reason save for the players could kill it. Just Lawful Good to Chaotic Evil in the blink of an eye. There was also no real explanation as to why it went evil and insane. Here at least you have regular dealings with Glakki on various levels, so there’s both a mechanics and story-telling explanation for the erosion of sanity. 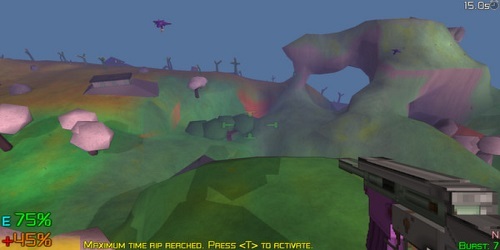 It just was Risen From the Sands was also a plotless hack and slash with no actual role-playing to be had. “Needles” is a lot more than that, with fully fleshed out NPCs, creepy antagonists and a great plot in addition to copious amount (for CoC) of combat. That said, I do think there is some missed potential with “Needles.” The adventure does say that the original purpose of the mummy’s cult, “was to find new medical techniques that would save lives, but this goal has been lost.” It doesn’t say WHY it was lost. The mummy is still in charge and leading things. Sure he’s got an undead cult but why does the undeath automatically make them crazy and evil? This adventure could have been a bit better if the goal HADN’T been lost and that the cult was in fact still trying to do good, but simply believed the ends justified the means. It could have been similar to the resurrection men of old. The Investigators would then be torn as to what they should do? Do they shut down this cult of undeath that wields the power of Glakki and risk losing the chance to save lives in the long term, or is the depravity of the cult enough to make them feel the cost simply isn’t worth the end result. That would have provided some great role-playing and character examination. Alas, it wasn’t to be. 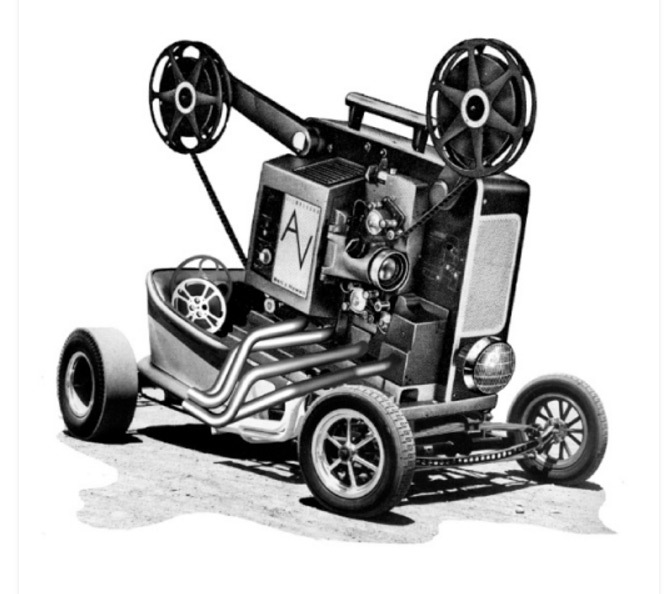 Instead we get a pretty black and white two dimensional affair that while still fun, could have been so much more. A good Keeper can easily fix these flaws, and it will improve the overall experience of the adventure. With the negative out of the way, I still stand by my comments that “Needles” is a lot of fun as long as you flesh things out. You have a very creepy cult in the form of the Needle Men, a good deal of the usual CoC style investigation and even a small dungeon crawl. It’s not the most memorable adventure for CoC, but it is one you’ll still enjoy while you are in the midst of it. Adventure number four is “The Quickening Spiral.” This is an interesting adventure where the players have to race against time to stop a virulent disease known as Red River Fever. This is no illness born of microbe or bacterial infection though. It’s actually unintentionally spread by a Mythos creature who is in the midst of having the time of its existence. I like this because too many CoC adventures take a Mythos creature and make it evil, malicious or just out to destroy humanity because it can, which (for me) is the sign of a weak adventure.. Too often in the actual works by Lovecraft and his contemporaries, humanity was beneath the notice of many of these beings. With “The Quickening Spiral” we see a creature just being itself and thousands of humans suffering for it without every realizing what the cause of the malady is. Brilliant. There’s a very real chance that the Investigators will come down with the disease, but the adventure spans only six days, they will only see the disease advance up to Stage Two within themselves. This does mean death from Red River Fever is unlikely for the PCs (unless the Keeper is especially cruel), but that doesn’t mean the players need to know that! Let them think that the disease is going to kill the characters as it will so many others as it will make them tighten up their investigation rather than whittle away time chasing red herrings as is wont to happen in some adventures. By inflicting the disease on the Investigators, you have a chance for some real memorable roleplaying moments and also given them a personal incentive to see this adventure through. “The Quickening Spiral” will take the PCs and their players throughout all of New Orleans. You’ll see all sorts of classic New Orleans motifs, such as a spooky swamp, a dilapidated plantation, voodoo curses, freed slaves, Masonic secrets, and more. This is arguably the most atmospheric of the new adventures in this collection, as well as one of the creepiest. Like “Bloodlines,” “Song and Dance” brings a different pantheon into Call of Cthulhu – in this case the Greco-Roman one. Unlike “Bloodlines” however, it doesn’t make the mistake of turning these deities into Great Old Ones, Elder Gods or what have you. It’s just a different set of gods. This was the right move, but I wish we could have had continuity in the treatment of ancient religions. What I also really like was that this was one of the few adventures in recent memory to actually portray a Great Old One in-line with how he was originally written. Of course the Great Old One here is Y’Golonac, which is one of the few that actually exude malice and evil, so it makes sense for him to be tied in with organized crime and a plan that feels straight out of a 1970s/80s super hero cartoon…or something written by Chris Claremont. You might think this is a bad thing, but it’s actually a good thing as it shows the author actually knows how to tie in the correct Great Old One or Elder God to the story he wishes to tell instead of telling the story and slapping in a random GOO that doesn’t actually fit the piece. This happens A LOT and I’m glad to see the GOO in question here make perfect sense for the story being told. So what is the story of “Song and Dance?” Well, we’re back to another Mardi Gras themed piece. In this case two young women decide to enhance their costumes by merging with two Muses rather than just dressing like them. Their spells goes off properly, but it also causes a great upheaval in the world of the arts. What starts as a massive worldwide depression amongst dancers, musicians, choreographers and singer where many go mad or commit suicide. Ouch. Then the flip side occurs where these artists experience an extreme mania finding their natural gifts to be greatly enhanced…along with their desire/need to perform them. Even at the expense of eating, sleeping and other common sense activities. This godly induced bi-polar will affect Investigators with the appropriate skills, so keep that in mind. With the Muses merged with mortal flesh and strange events occurring to practitioners of various art forms, it makes sense that otherworldly beings such as a Great Old One would realize what is going on. Since Y’Golonac is one of the few actually Great Old Ones that actively likes to cause evil and strife, it only makes sense he tries to do something to the muses. In this case, corrupt them into evil and/or insanity. He’ll do this through the help of an organized crime group he controls. Even worse the head of the family and his two children can channel Y’Golonac and become avatars of him. Which means that the large amounts of combat in this adventure also brings with it a lot of sanity loss and certain doom for Investigators. The Investigators will have to figure out what is the source of this depression turned mania and how to keep the two muses from being corrupted by the evil that is Y’Golonac. It’s a pretty straightforward adventure with a real chance for a more artistic character to shine role-playing wise. Again, this is a very combat heavy piece so it won’t be for every CoC group, but like the other adventures in this collection so far, it’s a very fun one. “The Light at the Crossroads” is our penultimate adventure and it’s the only one in the collection I didn’t care for at all. The adventure’s a bit dull and pointless to be honest. There are SO many problems with it, I’m just going to start in with them. The piece takes place over forty-eight hours, but it’s poorly structured and seems to not realize how big New Orleans is and the times to actual traverse to all these locations. Trust me, last time my friends and I were there for Halloween, we only walked around the city and man did it take forever. Two days is nowhere near enough time for the characters to actually do all the things required in this adventure. What’s worse is that there really is no point to this adventure. Whether or not the characters get involved, three people will still die. Their actions accomplish nothing. At worst, if the character utterly screw up, the antagonist of the adventure just dies and nothing else bad happens. If they players are on the ball and their Investigators make it through this poorly done affair as written, they have a good chance of dying simply because they are in the vicinity of the core antagonist. The end result is still the same really, and there’s no sense of accomplishment at all in this piece. If anything, the characters are simply window dressing and those are the worst kind of adventures. This really does feel slapped together for the sake of meeting a stretch goal and nothing else. Other pet peeves including being the THIRD adventure set around Mardis Gras (Come on people, there is more to the city than this one event! ), turning a Lao into a manifestation of Yog-Sothoth (just boggles my mind with this one), and so on. This wouldn’t be so bad if the adventure was written in such a way where the author is basically flipping the bird to the players and Keeper alike. “Oh you do XYZ? Well, this event happens no matter what you do. It’s just a different person dies.” Really the only effect you have on the piece is whether or not the antagonist survives the piece. If that’s all that happens, you might have your characters listen to an olde tymey radio marathon for two days or play in a pinochle tournament, because those actions will have just about as much effect on the adventure as actively participating in it, and there is less sanity loss or risk of injury. God this was bad. In short, this adventure is about a sad drunken buffoon who tries a bit of magick and gets some ironic punishment in the end. This piece would work a lot better as a short story. Unfortunately, by turning “The Light in the Crossroads” into an adventure, this forces players and their characters into a pretty banal experience where their actions and even their participation are secondary to the railroading plot that will unfold in the same manner no matter what the characters do. This is a terrible adventure in all respects and I’m actually surprised something this bad made it into a Golden Goblin collection as until now, everything was pretty solid. I would still suggest reading this piece, if only as a prime example of how NOT to make an adventure for a roleplaying game as it simply doesn’t work on any level. Our last adventure in Tales of the Crescent City is Asylum – a quasi-sequel to “Tell Me, Have You Seen the Yellow Sign.” It doesn’t have to be though, so play it how you want. I do really like that the collection is bookended by these adventures, as it gives the piece a nice flow, as well as a sense of coming full circle. There are two things that really made this adventure stand out to me. The first is that the adventure treats The King In Yellow as if it was a biographical play, meaning that all the events and characters within it are real. Generally you only see Carcosa or the King itself in adventures, so I loved seeing other characters from the play get their fifteen minutes here. Alar and the Phantom of Truth will receive the most time, but if you make it through the adventure, you’ll see some other characters you might recognize from The Hastur Cycle. Another thing I really liked was the complexity of the plot. It really delves into who we are and if we can escape the fate/destiny we have made for ourselves with our previous actions. There was something very Lynchian about this piece in terms of the atmosphere and writing style. When I was done I felt like the film Mulholland Drive had mated with Robert Chambers’ imagination and this was the result. This was definitely the most memorable and my personal favorite piece in the collection. If you are a Lynch fan though, you will find it hard to run it without the occasional reference to things. I’ll admit I had Chandler Kreele meet his fate with, “Don’t you look at me!” although in a very different tone from Dennis Hopper. Speaking of the complexity, Asylum has the shades of gray I was looking for in both Bloodlines and Needles. Here there isn’t necessarily a good or a bad side – simply two different creatures from the Mythos who want very different things. There’s a good chance players will be drawn to one side as the adventure starts and shift over as they learn more about what is actually happening. This is a great example of showcasing how creatures from the works of Lovecraft, Bierce, Chambers et all just could generally care less about our race/planet/dimension until we do something to pique their interest or annoy them. There are a lot of budding CoC writers out there that should read, play and run Asylum as an example of how to use Mythos creatures sparingly, effectively, and properly. So what is Asylum: The Return of the Yellow Sign about? Well a pivotal character from the play, The King in Yellow manages to escape their fate and enter our world, which they find they greatly enjoy. The Yellow King however has other plans for this wayward soul, and sends an aspect of itself to go collect it. With two inhabitants of Carcosa running around the Big Easy, strange things are bound to happen and the Investigators find themselves in a an adventure where reality blurs, dreams become ominous and Carcosa itself begins to intertwine with New Orleans. The end result is a very ominous and fun adventure that will take several sessions to complete but inevitably will leave your players very happy. Investigators…maybe not so much. Try not to get them stranded on the wrong planet when reality returns to normal, okay? So all in all, I really enjoyed Tales of the Crescent City. Although I found more to nitpick in this piece that I did in The Island of Ignorance, this really is an exceptionally well done collection. A collection of similarly themed adventures is always a hard thing to pull off, but Tales of the Crescent City did a fantastic job. Most of my concerns about the adventures were very minor ones that could easily be fixed by a good Keeper and there was only one adventure that I thought stunk. Even then, that’s just my opinion and you might like it where I didn’t. Hell, you might hate everything in here EXCEPT that one! A review is just one man’s opinion after all. Still, when I can easily give a thumb’s up to ten of the eleven pieces in this collection, that’s a sign of a true quality collection and everyone involved should be proud of the work they did to make this come together. I would have liked to have seen other major holidays in New Orleans get brought up besides Mardis Gras but hey, you do what you and the average person knows about the location, so it’s all good. I would have loved to have seen a Halloween themed adventure consider the celebration there is pretty damn huge, but it probably wasn’t in 1920, so no problem there either. 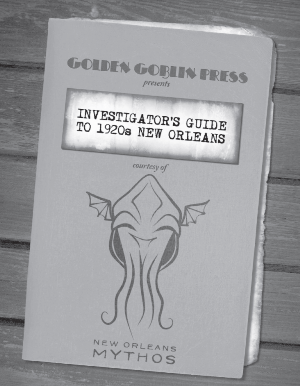 Who knows, with the quality of this piece and so much of New Orleans still left untouched, perhaps the success of this piece will spur Golden Goblin Press to do a second COC outing in NOLA – maybe even a modern era collection. I’m well onto my ninth page of this review, so I need to start cutting it short. The bottom line is that Tales of the Crescent City is well worth the cover price and then some. You can really make a fantastic campaign out of these adventures or just use them as you see fit. If you’re still in doubt after this review, at least get the PDF version. 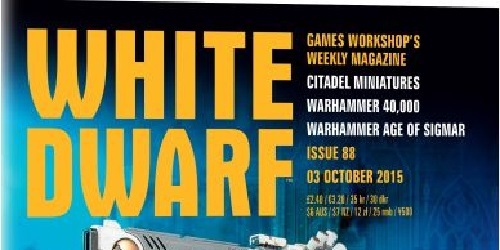 It’s a fraction of the price and it may be the last bit of impetus you need to pick up a physical version. This really is a collection that is as fun to read as it is run or play. Golden Goblin press really is setting a tremendously high standard, not just for Call of Cthulhu releases, but for the industry across the board. You owe it to yourself to see this firsthand.